California is a late bloomer when it comes to seasons. Now that it’s practically winter, we’re raking leaves like no body’s business. Better late than never, right? I decided to dress the part in a preppy look. Preppy just seems appropriate for fall. I couldn’t wait to pair this dress and scarf together. 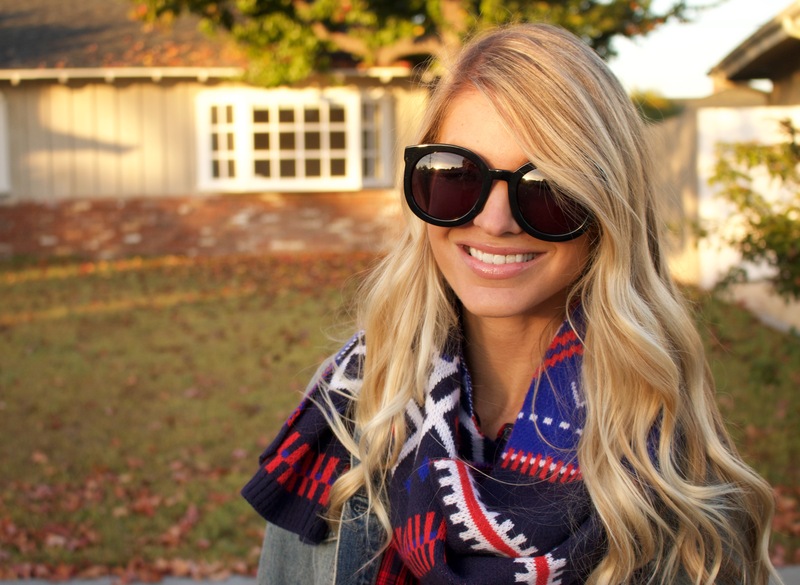 I love mixing prints with similar colors and this scarf is easy to style with so many pieces. If it’s colder where you are, you could also add tights to finish the outfit. I might have to do that sooner than later. Thank you Old Navy for sponsoring this post, all opinions are my own. I just love that dress and your sunnies, You are so pretty!